If you planned out a road trip with the goal of visiting the sights and sounds of early auto racing, the city of Chapman, Kansas, might not automatically be one of the first places on your list. But believe it or not, it probably should be. Residing in the town of 1,400 people is the Kansas Auto Racing Museum, where one can see restored racecars, footage and photographs of pivotal events in racing history, and the trophies for the first NASCAR and NHRA events – the winners of which were both from Kansas. Doug Thompson, the owner and curator of the museum, has personally accumulated a large amount of racing memorabilia over his own lengthy career in the sport, but most of the pieces on display are donated or loaned to the museum because their owners are proud of the racing history. “We say there’s a million-piece puzzle, and some people are walking around with one or two pieces of the puzzle, and if we all put it together, we’ll see an entire picture, and that’s been the case,” Thompson said. While the museum – which sees about 4,500 visitors each year – is home to many actual racing vehicles, including one that participated in the first NASCAR Truck Series race at Kansas Speedway, it has also cataloged early coverage of the sport, which is significant in part because the medium of covering sports has changed so dramatically over the years. In addition to photographs showing the transformation and growth of racing over the years, the museum has photos and video of one of the most infamous racing events in the world. It took place at the Kansas State Fairgrounds in Hutchinson in 1974. “They had a wreck right at the start of the 50-lap Grand National event. 17 racecars burned up, 3 people were badly burned, and we have the film footage and color photographs,” Thompson said. While the event itself was certainly newsworthy, the repercussions of it to the sport had an even more lasting and widespread effect: protecting the wellbeing of drivers. Thompson said that racing fans from this area or ones who are passing through enjoy visiting the museum because it brings back good memories of watching races as a child or going to events with family. Often, Thompson said, visitors comment that they had no idea that Kansas had so much racing history and that they should have allocated more time to go through the museum. Since its construction in 1997, the goal of the museum has been to preserve the history of racing in Kansas. With its own racetrack nearing its 10th birthday, the state seems well on its way to having not only a racing past but also a racing future. “When it was the France family involved [in building Kansas Speedway], I knew it would be an excellent facility,” Thompson said. 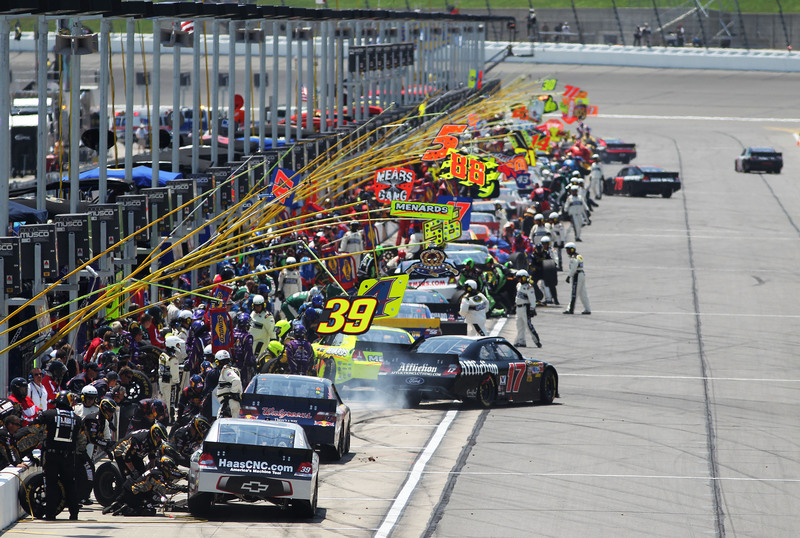 “It’s been an economic boom for the Kansas City area and has been a major attraction, and it brings big-league racing to the central parts of the United States, and it helps to take NASCAR racing from just being a Southeast-area to truly a national racing series. 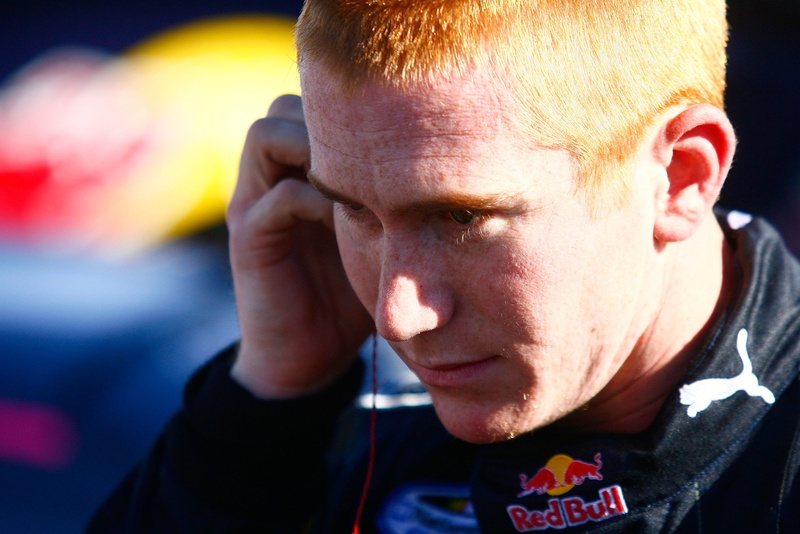 I wrote a feature on rookie Cole Whitt a few days ago, but here are some of the other topics of our conversation that I didn’t have a spot for in that piece. It was really interesting to get the perspective of someone who, at the ripe old age of not-quite-20, has already been doing what he’s doing for over a decade. He analyzed Kansas Speedway for me, too, but I figure I’ll save that for when the races return here in October. Enjoy! Q: Is it hard to adjust to the tracks so quickly, as you’ve only got a day or two to practice on them? A: That’s what makes it tough being a rookie. You’re coming to a lot of new tracks for the first time that you’ve never seen, and you’ve got to kind of pick up where you’re at. And all the veterans, like [Jeff] Gordon has been to this track – I don’t know how many times, probably more than I’ve raced. They know where they need to be and what they need to do. It’s always good to get behind one of those guys and just kind of pick up what they’re doing. Q: What does your preparation for a race look like? A: There’s not a whole lot. More for me, I try to help the team out a lot. I go to the shop every week, Monday through Friday, whatever we’ve got to do, to help them get the trucks ready and make sure that everything I need to get done is done, in the cockpit of the truck, anything they need me to help with. But for the most part, it’s just kind of going to the track, making sure most of our stuff is squared away and good to go. A lot of these tracks are new to me. I come to a new track for the first time and have got to kind of just pick it up and go with it. Usually I just rely on [team owner] Stacy [Compton] to just get a couple little pointers and just pick it up as we go. Q: What’s some of the best advice you’ve gotten from your family, with its history in racing? A: I remember one time [my cousin] Brandon was telling me … he always talked about this late apex, and it always seemed to work everywhere we went doing go-karts, and that was where I started at. 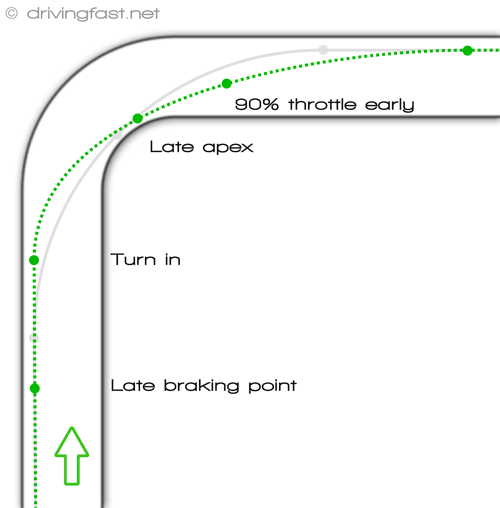 My dad always explained to me: it’s always opening up your entry and getting a late run off the corner, just being able to straighten up your exit a lot and be on the gas a lot more. It seems to apply to almost every track you go to. Q: Do you have time to sightsee when you go to different places, or is it more fly-in and fly-out? A: It’s pretty much fly-in and fly-out. My parents got to have a lot of fun in Nashville. I didn’t get to. I had to leave and get out of there, but they stuck around and went to like Grand Ol’ Opry and stuff. I wish I would have got to go, but I get to hear about it at least. Q: What would you say it takes to get into racing anymore? A: It’s crazy, the way that times have changed. It’s changed like about the time that I was coming into the sport. It’s definitely not as easy as it was. Even about three or four years ago, before I came into the NASCAR world, almost anyone could kind of do it if you had the skill. Almost anyone could pick you up, when the economy was really well. If you were fast, guys would recruit young kids and really bring them along. Nowadays with the way the economy has changed, you almost can’t do it without a sponsor. You’ve still got to run good at the end of the day, but at the same time, you almost need someone backing you with the money. It’s tough nowadays. Definitely not impossible if you don’t have [the money] – if you’ve got the skill and you’re winning races, beating everyone everywhere you go, things will take care of themselves. Q: What’s been your favorite track to race? A: Hands down, probably Dover. It’s just a place that’s fast, it’s got high bank. It’s just a lot of fun to go there. You can really get after it a lot. Q: What are the best parts and most challenging parts of your job? A: It’s not a hard job really at all. It’s fun. It’s really enjoyable. Just trying to live it up as much as I can because you never know, one day it could be gone. Fun parts is, like you said, going to new places, and you do get to see different states. At 19 years old I’ve probably been to almost all the states. I haven’t been to, like, Alaska, but I’ve probably at least driven through all of them. It’s pretty cool to say you’ve done that already at 19 years old. I think most challenging would be dealing with – I guess you get a lot of requests through the week. You kind of feel like when you get home from the race track you just want to relax and try to reset and go to the next race, but you end up getting a lot of requests – I guess at least when you’re running good, and get a lot of people wanting to talk to you, but it’s still part of the job. The late teenage years are often good ones. For many people, that is the age at which you’re old enough to make most of your own decisions but still young enough that you’re not completely (cough, financially) independent. 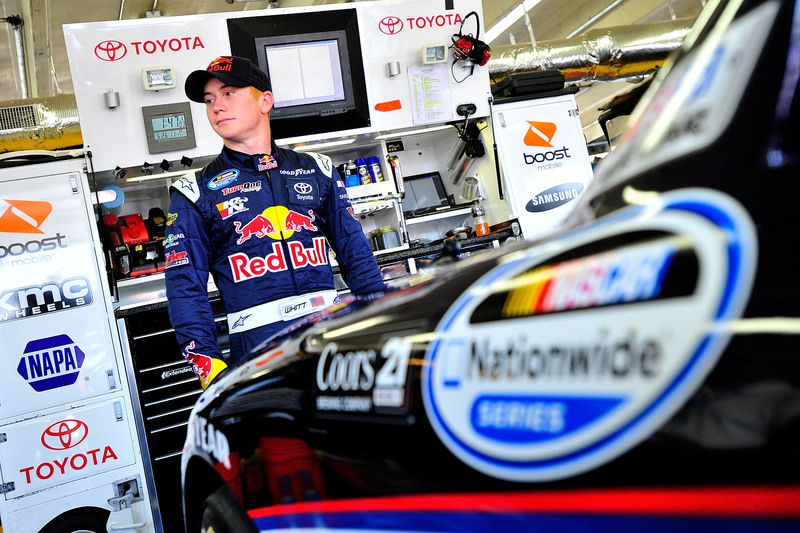 But at 19 years old – at least until June 22 – NASCAR Camping World Truck Series rookie Cole Whitt has a demanding schedule to go with a high profile career that he has been working toward since elementary school. Here’s the good part: he’s loving every minute of it. Look through the list of drivers and team owners in NASCAR, and you’ll see a disproportionate amount of names with “Jr.” attached to them. Very often, racing is a family affair, passed down from generation to generation. In Whitt’s case, he had always wanted to race because he saw his older cousin do it – not to mention his dad and grandpa. Of course, racing is an intense hobby – one that requires extensive travel and even more time. As a result, Whitt didn’t get to have a completely normal childhood lifestyle. He went to a regular elementary school, but as he began racing sprint cars in Indiana, around when he was beginning junior high, the normal setup became more difficult to maintain. Whitt began going to a charter school. He would go to school Monday through Wednesday, then fly out Friday for the weekend’s race, come back on Sunday, and begin the cycle all over again. For Whitt’s senior year of high school, he did full home-school because his travel was incompatible with any sort of a normal schedule. 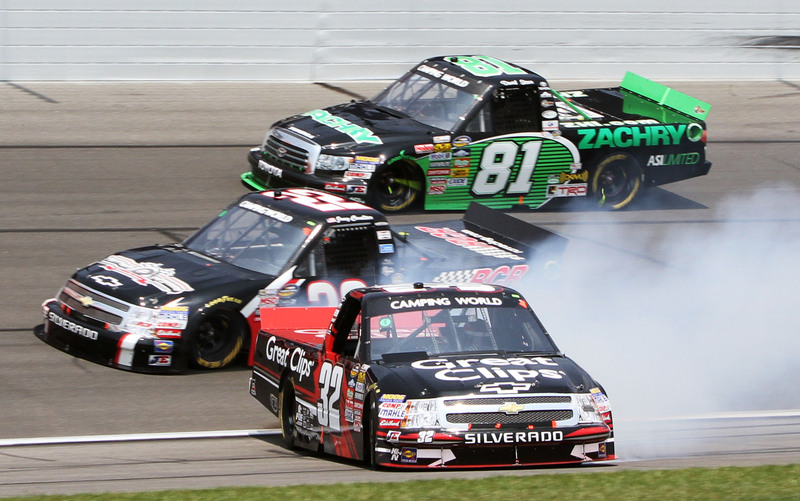 He finished up school, and after seven NCWTS races and five top 10 finishes, he had become the first rookie (and youngest driver) to lead the series points standings. As a kid who loved to watch the trucks race on Friday nights, being able to set a little bit of history in the series that was fairly important to him growing up – “and at least be able to say I did something” – has been pretty cool. 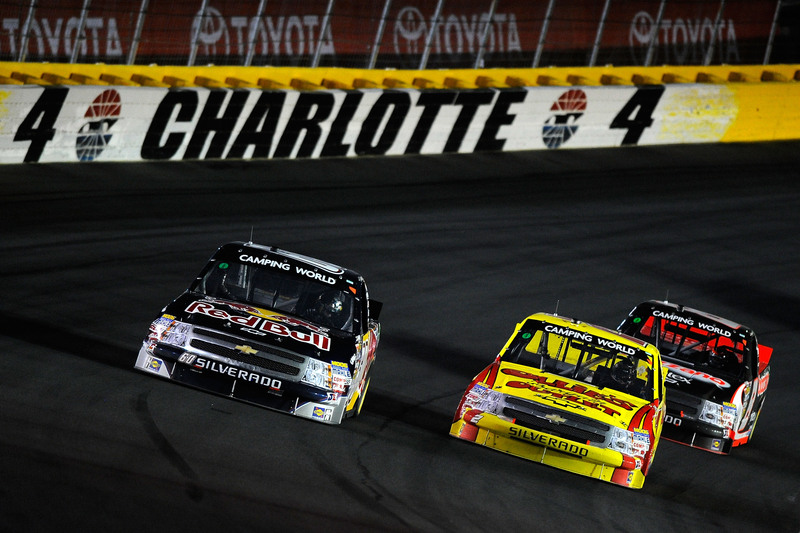 The 19-year-old led the standings by just one point, right above 33-year-old Johnny Sauter. While Whitt’s moment on top was short-lived – Sauter regained the points lead with a second-place finish in Saturday’s O’Reilly Auto Parts 250 – he didn’t seem inclined to let it go to his head even before he knew it would shortly end. His recent rise has prompted some changes in attitudes toward him, Whitt said. When he and his team first entered the series, no one really knew who they were, and no one really cared. These days, it’s a bit different. After his 15th-place finish at Kanas Speedway, Whitt is second in the standings, 12 points behind Sauter, Whitt still averages a finish of 8.2. He said that as long as he and his team keep putting the car in position at the end of races, they’ll eventually cross the finish line first.